I enjoy walking over to Farragut Park for lunch a few times a week, and recently found out about Farragut Fridays. 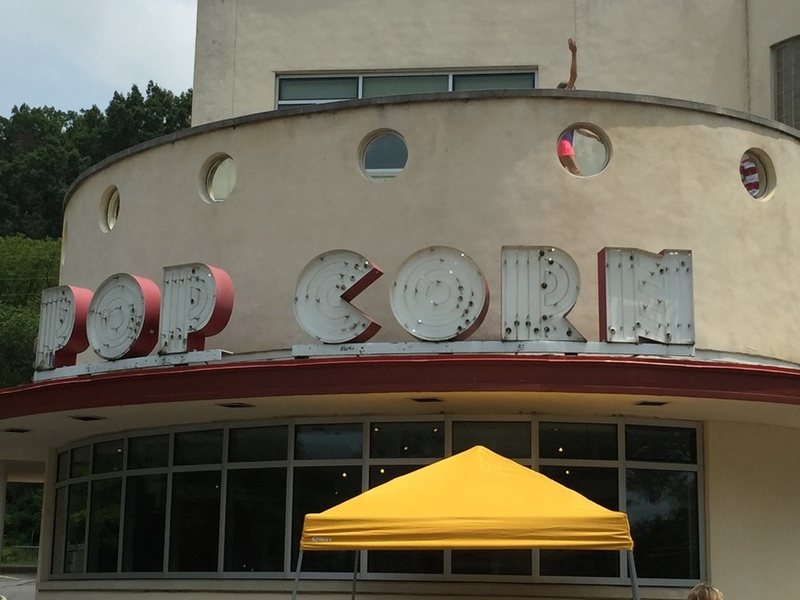 Every Friday during the summer, Golden Triangle BID hosts activities like table tennis competitions, movie screenings and pop-up events. They also create an outdoor office space, and provide cool chairs, tables and free Wi-Fi. They hosted a gardening pop-up event a few Fridays ago, and were giving out free plants and gardening tips. I got to take home a charming geranium for my mini outdoor garden. Farragut Fridays runs through late September, so take a break from the office and have some fun at the park! 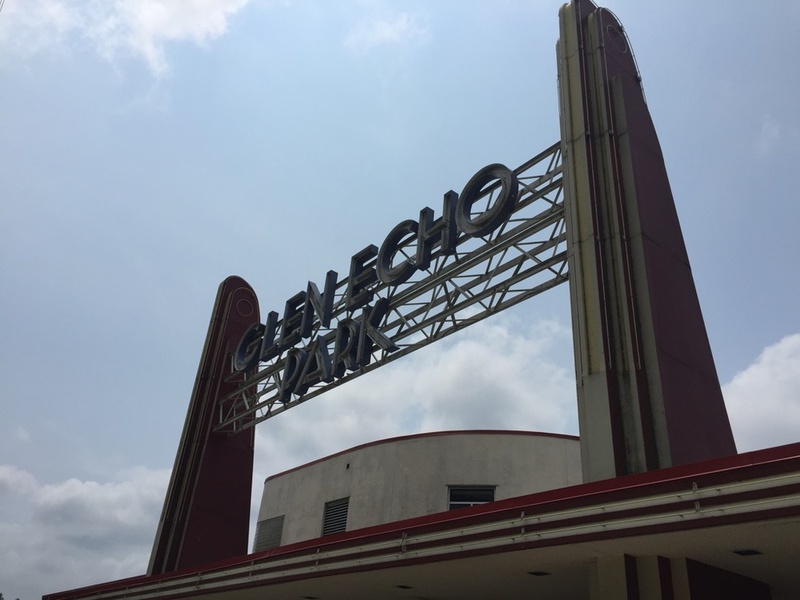 One time when I was driving on some unknown road that Waze had told me to take to avoid traffic, I drove past this really cool Art Deco sign for Glen Echo Park, followed shortly thereafter by a sign for the Clara Barton house. I did a little digging afterward and found out that Glen Echo Park started as a Chautauqua retreat in the 1890s, and Clara Barton moved her home and the eventual headquarters for the American Red Cross there. After that retreat failed, it was turned into an amusement park that ran until the '60s. Relatively recently, parts of the park have been restored, including a working carousel. Now occupying the midway are galleries, a puppet theater, a children's theater, and other arts organizations. In the famed ballroom, dances are held. Altogether, it's a cool piece of history that has a second life today serving its community. I have been to the National Cathedral before, and I have marveled at the size of its interior, its great acoustics, and some of the great stained glass. Its history is interesting, in that the idea of it dates really far back, but the actual construction wasn't completed until, really, just a few years ago. And then, the earthquake happened, and it's under construction once again. The last time I was at the cathedral, I walked in from the side of it, and i noticed these carvings in some of the columns that were really cool--depicting various Native American symbols and scenes. A few feet past that, I saw that there were tours of the gargoyles and grotesques (drainspout and non-drainspout carvings) on the outside of the building, which I admit to having not paid much attention to before. So, on a typically sweltering summer Sunday morning, I followed around a guy who knew A LOT about this sort of thing, and it was very cool. It turns out that the artists who did this work were not really supervised all that much (nor were they sometimes even credited or recorded), so there is a lot of sort of goofiness, which I think is appropriate for America's cathedral. In the pictures below, I have some of my favorites that I could adequately capture with my phone's camera, including an awesome snake and a pretty cool gator. However, I could only see with binoculars (which you should scrounge up if you really want to do the tour right) the infamous Darth Vader gargoyle, as well as some other pretty strange ones. It was neat to see that the building on the outside was just as interesting as the building on the inside.